Dr. Ashley Woyak has an innate ability to connect with her patients in a way that’s beautifully genuine. She understands how each day can feel endless when you’re not able to feel “normal” and the frustration that comes from failed attempts to find solutions. It’s for these reasons that she makes helping each patient feel better her priority, no matter how complex their situation is. Her experience and training have given her the ability to take the steps necessary to get a full picture of your health. With this, she’s able to find effective solutions that heal the body and help you feel better. We’ll never push drugs on you that only numb the pain; our priority is to tackle the issue at the root so your body functions at a more optimal level. Dr. Woyak is trained in naturopathic medicine, chiropractic care, functional neurology, and functional medicine. With this incredible knowledge on her side, she’s able to help patients in a way that’s highly effective and easier for them to understand. This is why most patients are able to begin playing more of a role in their healthcare and make changes that genuinely benefit their body. We’ve found that with this natural approach, patients are excited to finally have answers and begin their journey to wellness. If you’re looking for an alternative to prescription drugs, this is one of the best ways to achieve that. Each of the areas that Dr. Woyak is trained in has given her the tools needed to care for patients in the most natural manner possible. She’ll help you make changes that are effective in improving your health, well-being, and outlook on the future. Dr. Ashley Woyak was born and raised in Baraboo, WI. 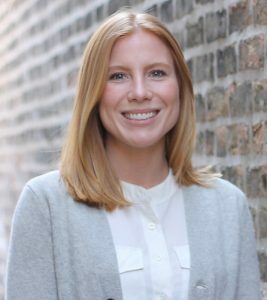 After graduating from Edgewood College with a Bachelor of Science degree in Chemistry, she continued her education in Chicago, IL to get her doctorates in Naturopathic and Chiropractic Medicine from National University of Health Sciences. While in medical school, Dr. Woyak began a three-year course of study in neurology and is currently working towards getting her Fellowship in Functional Neurology. Dr. Woyak has spent hundreds of hours outside of the classroom studying functional medicine, neurology, nutrition, and metabolic testing so she can manage and support patients with chronic conditions. ​In her free time Dr. Woyak enjoys spending time with her husband Caleb and their rescue dog Sarge.